I hope you are all enjoying your favourite dram as you browse your favourite forum. 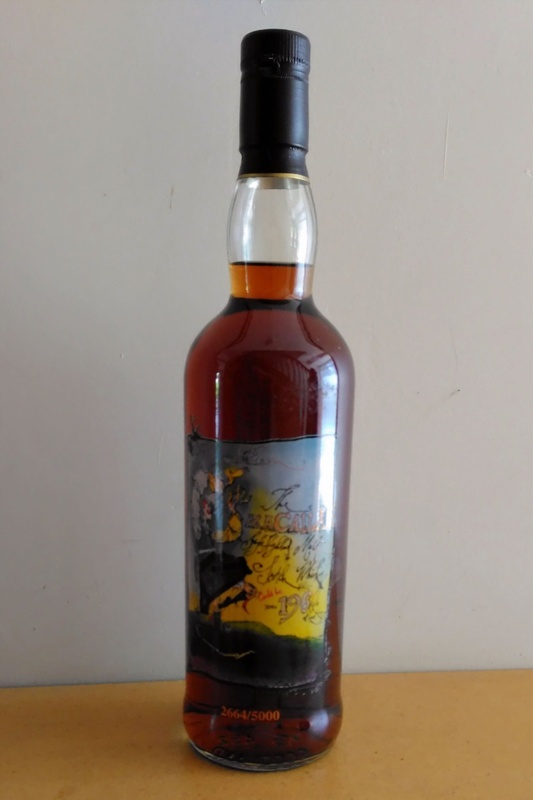 I'm currently drinking a bottle of 1988 Port Dundas Sovereign single-grain (not malt) whiskey. 154 bottles came out of that cask and when they're gone, they're gone because the distillery closed about twenty years ago. I'll drink to that. Then again, I'll drink to anything. I bought this bottle of Macallan Private Eye when my daughter was born - £40 then and she is now 18. I do dread that she (or my son find it) and think it is just any old whisky and drink it with Coke !! So back to the Laphroaig for me today. I did manage to visit this distillery (on a K of course) a few years ago. @Ringfad wrote: I bought this bottle of Macallan Private Eye when my daughter was born - £40 then and she is now 18. I turned 50 this year, and with all the gift vouchers from the party I bought a lot of top shelf whiskey, Redbreast 21 & 15 year old, Yellow spot, Green spot, and a collection of other WHISKEYS. I am sooooo jealous of the Eccentrics being able get hold of Redbreast whiskEy as it is just about unobtainable down here. Alas my 75S and I were only able to visit the Glenfiddich and Glenturret distillerys back in '91. In those days the Glenmorangie distillery did not do visits. If you don't already, I would have that insured for around £2,200 - £2,800 sterling. WHAT!!! A Scot who's advocating NOT drinking a bottle of whisky!?? ?